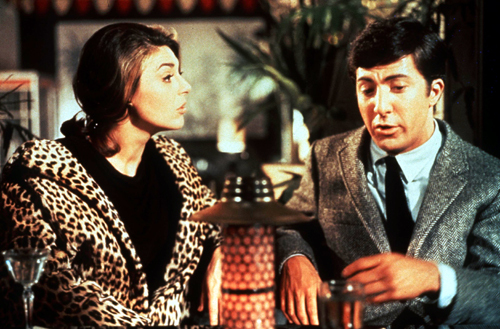 I’m surprised to find out that it’s been six years since Anne Bancroft (The Graduate‘s minxy Mrs. Robinson) passed away. But, my title is not in homage to her, or to Dustin Hoffman, who played Benjamin, the actual graduate/seductee. I actually had a graduation on Tuesday evening. It was a dinner and small ceremony marking the end of my year participating in Leadership Evanston. Although, you know…commencement is not an ending. It is a beginning. Sorry, I’ve heard that speech at every graduation except for this one, since it actually was an ending. Oh, I guess I’ll take part of the Evanston Community Foundation‘s alumni activities with LE, so maybe this is just a beginning. Either way, it was a great experience; plus, it’s good that it’s over. Of course, I can’t go to any kind of ceremony without sporting a tie, and I was actually excited to put one around my neck. I am having major withdrawal pains from the lack of blogging about the ties. So, here we go. Tie No. 302 was another from my friends at Paul Fredrick. This one, I actually bought. Although I’ll talk about the ‘why’ very soon, I have to say that Angela and Scott from PF gave me some more ties to support a new venture. 30, to be exact. THIRTY! They are all truly lovely strips. Anyway, this number is the epitome of multi-colored, as it just exploded my plain-ish blue shirt. Had I gone garish with the shirt, I may have set off car alarms. I have captured, photographically, a couple of new GWTs in the past week or so, and I’ll gladly share them with you here. 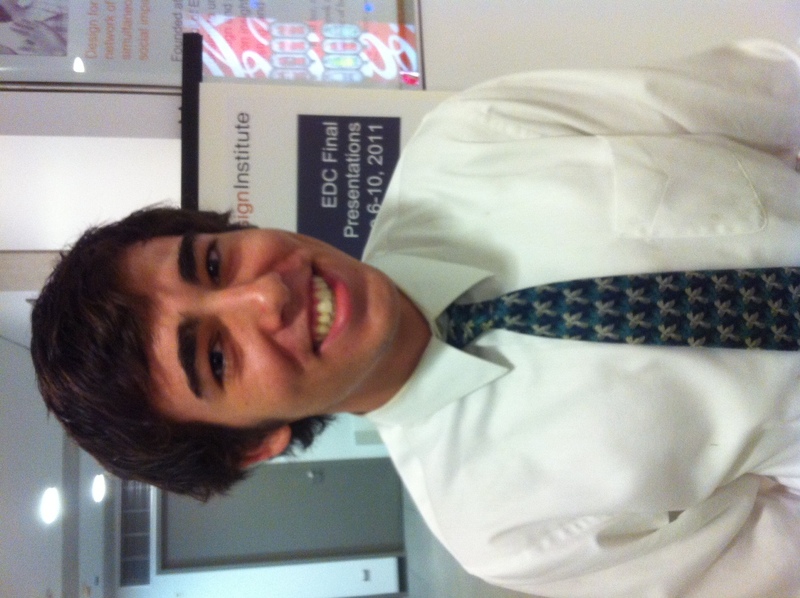 First is Graeme Murphy, a freshman in Northwestern’s engineering department. Graeme, sporting a cool Escher-printed tie, and his project team worked with Few Spirits to come up with a plan to reuse our spent grains, and presented it before me and their class. It was one of those ironic days where I chose not to wear a tie, while every other guy in the room had one on. So embarrassing. But, I did have one of my new Few shirts on, so at least I played the part of ‘client’ rather well. Sunday evening, my dad and I went to dinner with, Pat Green, one of my best friends from my high school days (the first time I had to wear a tie every day…well, actually, that would be the 2nd time. Junior high was tie time, too). We went to Tavern on Rush, and sat next to a GWT. 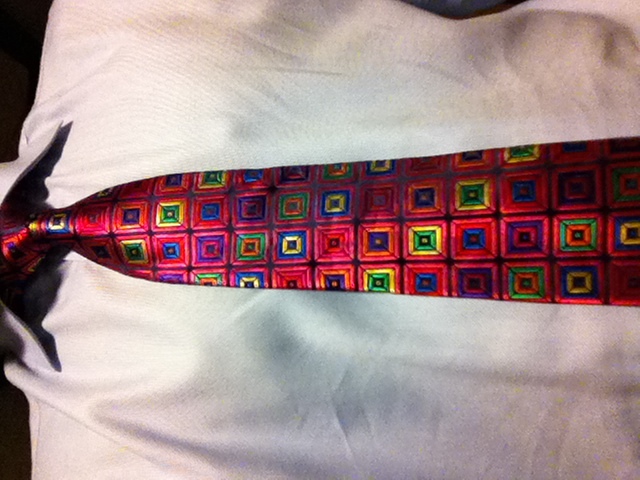 Or, should I say, a RPCLWT (Rainbow PUSH Coalition Leader With Tie)? Yes, Rev. 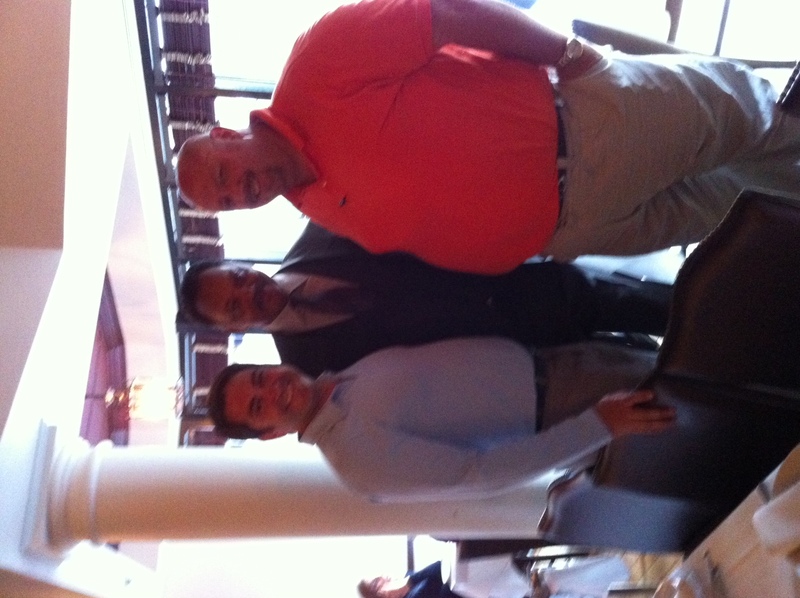 Jesse Jackson was kind enough to show off his tie with two goofballs from Memphis.